Cumberba... erm, I mean, Cannonbridge. "Something has gone wrong with history," the blurb on the back of Cannonbridge promises. It's an intriguing premise. 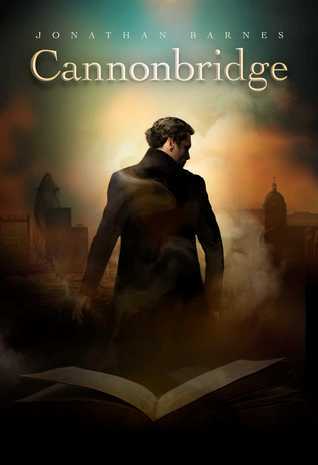 In the world of this novel, a famous British writer, Matthew Cannonbridge, connects all the famous writers and figures of the Victorian / Fin de Siecle literary age. He was there when Doktor Frankenstein was conceived by Mary Shelley. He met, inspired, and interacted with every major writer of the age. He is the canon bridge. Except, what if he never existed? Toby Judd, our present day hero, is an unknown academic, a professor of literature who has not made a big name for himself. The novel starts with a rather devastating experience: his girlfriend leaves him for a more successful pop-academic, whose new work about Cannonbridge is annoyingly bestselling and shallow and populist. Devastated by his humiliation, Toby suddenly has an epiphany: Cannonbridge never existed! He's a literary hoax! And Toby promptly uses his inaugural professorial lecture to present that hypothesis, before being interrupted a few minutes into his raving rants and kicked out of his university for being a lunatic. Meanwhile, in the Victorian age, Matthew Cannonbridge meets one famous writer after another, and grows increasingly sinister in aspect. I really enjoyed Jonathan Barnes' first novel, The Somnambulist, but did not enjoy its sequel, The Domino Men. When I saw that a new standalone novel is coming out, I was curious. The premise sounded promising and intriguing. Unfortunately, Cannonbridge was a bad disappointment. Our hero, Toby Judd, is a bit of a wet blanket. That's fine, but there is no logic behind his sudden conviction that Cannonbridge is a hoax. He just suddenly has a feeling that Cannonbridge has no reality, and then he irrationally decides to base a lecture on that feeling without being able to properly rationalise his own theory. That seems a bit unconvincing. Logic is, in fact, in very short supply in the novel. As in: there is no internal logic whatsoever. There is a big conspiracy killing people, not because it makes sense for them to kill people, but because people dying is necessary to give the plot some momentum and drag Toby out of his academic exile. Meanwhile, Matthew Cannonbridge pops up all over the Victorian place without actually having a clear effect. The central plot is that Matthew Cannonbridge is the writer of his age. Yes, he has encountered all the others, but it's his works (rather than theirs) which is most well-remembered. He is, in effect, the Shakespeare of that age (writing prose rather than drama), only of course he never actually writes anything - he has written, without having to go through the writing. The problem is that it's never clear whether the works of his contemporaries still exist (in the form they do in our world) or not. If they do exist, then there is no compelling reason why Cannonbridge's writings have eclipsed all the others. If the other works do not exist - if, in fact, he somehow detracts from all the writers of his age by meeting them, passively leeching creativity and influence and fame off them - then it hardly matters that he met them all, and it would not matter much to his fame. Unfortunately, I have no idea which is the case - he seems to meet the Shelleys the night that Frankenstein was first conceived, and it seems as if that meeting results in the book never being written, or not in its famous form - but he meets most of the other writers mid-career or even towards the end of their careers. Toby meets someone. That someone dies. Cannonbridge meets someone famous, and is so inherently charismatic that he makes an impression on them, then he disappears. Later on, the novel aims for a sense of the uncanny. A strangely calm but super-effective hitman, a sinister island, some monstrous events... the sort of things that I suspect are Lovecraftian (I still haven't read more than one Lovecraft short story, so I still use that term second-hand or third-hand). Perhaps even a bit like Lost - a build up of uncanny that has no internal logic whatsoever. Unfortunately, the novel never really succeeds at building up tension, or horror, or anything but exasperation. The final resolution is... well, silly would be the word I'd choose, and the final twist is an excuse for shoddy writing in earlier chapters. 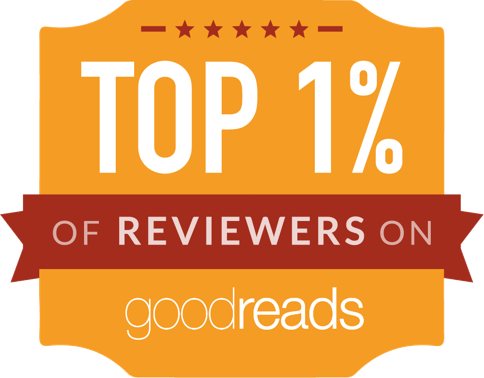 Truthfully, I only finished it because I got a free copy through Netgalley and felt obligated to read it all the way to the end so I could write a review.